Internal search is a valuable asset for any informational website containing over 20 pages. That value is even higher when it comes to internal search for online shops. 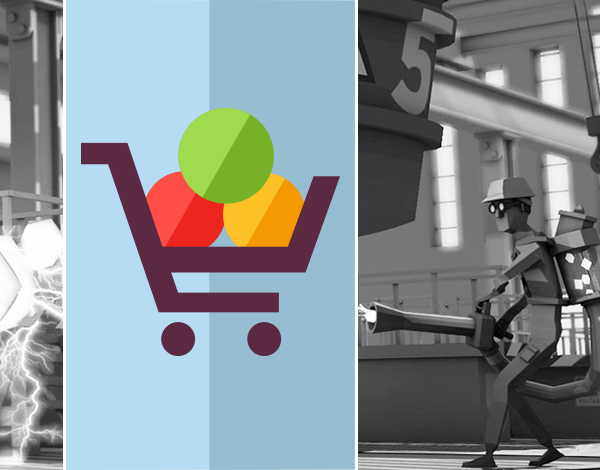 The faster a visitor gets to the desired product, the more likely he or she will buy it. Following my post on internal search for informational websites, I’d like to elaborate a bit more on internal search for eCommerce sites here. There is a reason the larger online shops focus so much on their internal search: you’ll buy their stuff if you can easily find the product you’re looking for. It’s as simple as that. 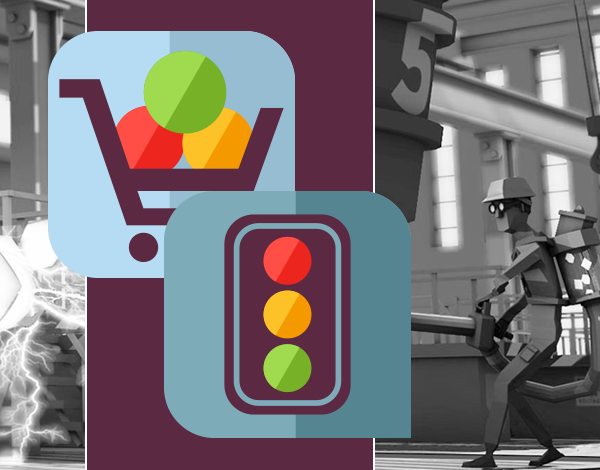 The number of products in an online shop can vary from dozens to thousands. As soon as your online shop has more than 20 items, you need to start thinking about alternative ways to get to these products. They can’t all be in a submenu, right? There’s a ton of things you can do to make the route to the desired product as short as possible for your visitor. 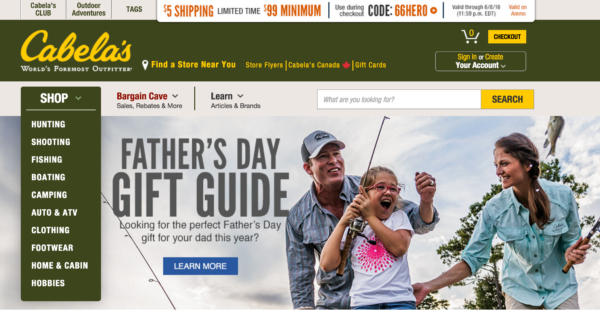 There is no default best spot for the search bar on your website. We think the location of a search bar largely depends on the type of page (or homepage) you have and the importance of that search bar for your audience. Rule of thumb is that you can’t ignore the search option when you are sitting down with your designer. It has to have a prominent spot on pretty much every page. You can see it doesn’t have to be a large, obtrusive search option. As a result of the position of that search bar, any visitor will be able to find it in a heartbeat. There are a number of other positions that you can choose, but these two are the most common ones. Other options include in the hero image, like on Etsy.com, or as a part of the menu, like on Staples.com. The main thing to keep in mind is that (in most cases) your search option should be one of the most prominent elements of your homepage. And probably of a number of other pages as well. That doesn’t go for product pages, as that would be the end result for a query. But please, do add it in a less prominent way to these pages, so people can continue shopping at all times. It wouldn’t hurt to test variations of that search bar location and see what works best for your audience. your product category pages, that can be found by clicking a link to that category. Both basically look the same, right? The main difference is that the category pages are presented after clicking a link, most probably in the menu, and the search result pages are presented after an actual search query. Think about an online fashion shop that gives you the choice between the main categories Men and Women. The search query is predefined. There is one extra characteristic I’d like to add here. No matter what the product is you’re selling, make sure a product image is shown in your internal search results. This makes searching a lot easier. For instance, with books (even eBooks), I’d rather pick the one with a nice cover than the boring alternative. Make sure the user can see an image of what he or she is interested in. One more addition, and this is just me thinking out loud. 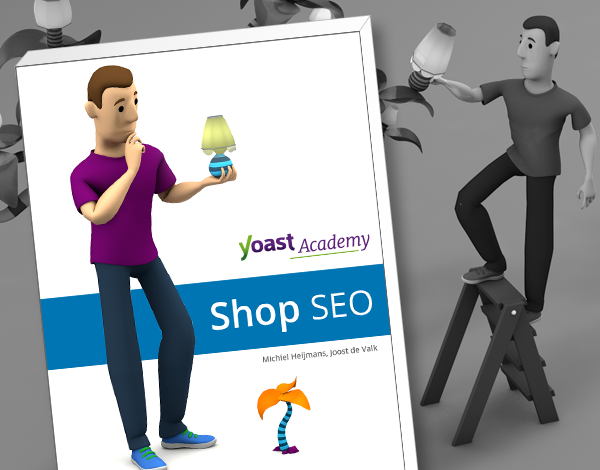 If a visitor clicks a search result in your online shop, and lands on your product page, prevent the need to click back to the internal search results. You can do so by adding a related products section to the product page. I already mentioned the importance of providing filter options for your internal search for online shops. The main reason is that on some larger eCommerce sites, the visitor is still left in the dark when doing that initial internal search. The number of results is overwhelming. The easier it is to narrow this down, the happier you’ll make your potential customer. 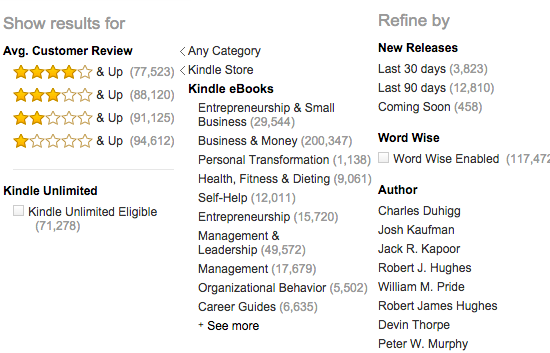 This is all in one large sidebar on the left-hand side of your Amazon page (not per se in this order by the way). What I think is especially nice in these filter options, is the option to filter on Average Customer Review. It emphasizes the Amazon community and in the very general search I did, this is a welcome filter option. Note that the global filter on the left has already disabled the filter options that don’t apply to this search, which is nice, and that it gives me the opportunity to filter for sale items only (I’m a cheapskate when it comes to t-shirts). One could argue whether that brand list should instead be a long list right below the global search options. 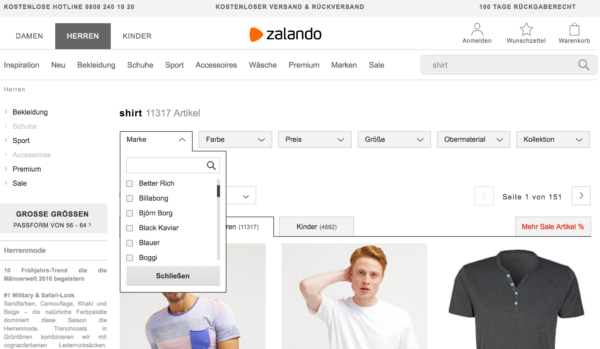 Zalando has most probably tested this a lot, and so should you. Test, or ask, what your visitors prefer. So that “hard to find” statement might not be entirely accurate, but I can see this pushing experience and price :) LEGO does a very nice job on these filter options, by the way. Especially the Age and Pieces options come in handy for most visitors, I imagine. 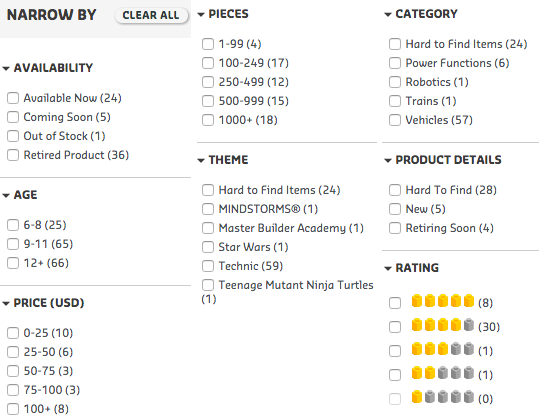 Note that where Amazon starts with the Rating filter, LEGO concludes the list of filters with that option. Perhaps Amazon users are looking for a type of book rather than a specific book, where LEGO.com users are looking for that one box to complete their collections. But that’s just me guessing. These examples illustrate how filter options can help you get to the desired product a lot faster than just entering more search terms in an internal search field of an online shop. Where a search option on an informational site is very much like your basic Google search, the internal search for eCommerce shops is a bit more complicated. You’d really want to add a second step to that: filter options. Together these make for a very good user experience, as long as your filter options are logical and tailored to your target audience.